Fri., April 6, 2018, 10:32 p.m.
Daniel Patzlaff hit a two-run homer and Kenyon Yovan pitched seven solid innings Friday as Oregon defeated Washington State 4-2 to complete a Pac-12 Conference baseball doubleheader sweep in Eugene. The Ducks (18-11, 5-6) won the opener 2-1 as Matt Mercer (4-2), Parker Kelly and Ryne Nelson combined on a two-hitter, striking out 10. Mercer worked six innings, allowing one earned run and striking out five. Yovan (3-1) dominated the second game, allowing six hits and one earned run, striking out eight and walking two. Oregon took a 1-0 lead in the first on Spencer Steer’s RBI single to center field off Cody Anderson (1-6). Steer was also on base when Patzlaff hit his two-run homer to left for a 4-0 lead. The Cougars (8-17, 3-8) attempted to rally with James Rudkin’s RBI single in the sixth and Justin Harrer’s solo homer in the eighth. Nelson pitched a perfect ninth, striking out the last two batters, for his fourth save. The Ducks, trailing the opener 1-0, scored both runs in the second, capped by Gabe Matthews’ RBI single. Andres Alvarez’s RBI single gave WSU its short-lived lead in the third. Cougars starter Isaac Mullins (0-3) allowed five hits and one earned run in four innings. CC Spokane 3-3, Big Bend 2-2: Carsten Schmidt was hit by a pitch with the bases loaded in the 11th, allowing the Sasquatch (20-6, 7-1 Northwest Athletic Conference) to complete a sweep of the Vikings (16-10, 4-4) at Spokane Falls CC. In the opener, Nick Flesher pitched effectively into the eighth inning and Aaron Fritts drove in two runs. Fritts drew a walk to open the 11th in the second game. He moved to second on a balk, to third on Mitch Dean’s single and scored when Noah Soltero hit Schmidt with a pitch. Fritts also had a two-run double in the first. Opening-game starter Flesher allowed four hits and two earned runs in 7 1/3 innings, striking out seven. Reed Harrington, who entered after Flesher surrendered Cody Banks’ two-run homer in the eighth, earned the save with 1 2/3 hitless innings, fanning three. Christian Padilla’s two-out solo homer in the fourth gave CCS a 1-0 lead. Fritts boosted the edge to 3-0 with a two-out, two-run single in the fifth. (1) Washington 5, Utah 0: Taran Alvelo (19-1) threw a one-hitter and Taylor Van Zee scored twice and added an RBI to guide the Huskies (37-2, 8-2 Pac-12) past the Utes (17-16, 2-8) at Husky Softball Stadium in Seattle. Alvelo struck out seven, walked one and had a no-hitter until Alyssa Barrera’s bloop single to right to lead off the seventh. Van Zee doubled off the center-field wall in the fourth to drive in Kelly Burdick. The Huskies scored two runs on wild pitches. Yakima Valley 6-6, CC Spokane 5-17: Tia Pau homered and had five RBIs to give the visiting Sasquatch (17-7, 8-5 NWAC) a split of their doubleheader with the Yaks (6-15, 4-9). Madison Atwood scattered eight hits and Alayna Carpenter went 2 for 2 with a double as the Yaks won the opener. Pau went 2 for 3 with a double. In the CCS win, Angie Porcayo finished 2 for 3 with a double and Hannah Springs was 2 for 4 with a double. 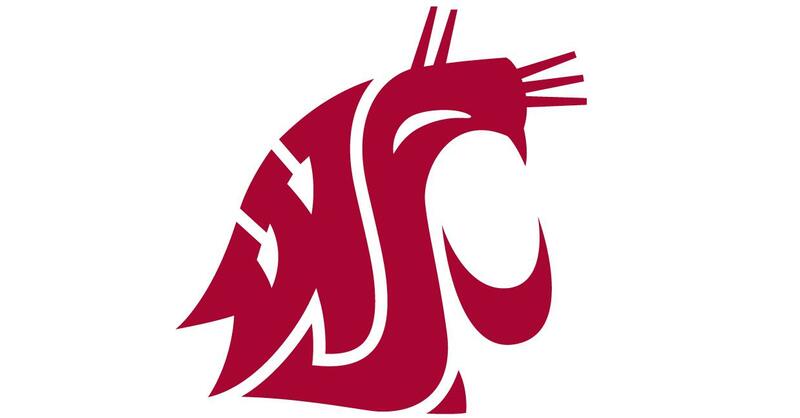 Washington State, ranked 15th, swept Oregon State in all four events at Wawawai Landing on the Snake River. The Cougars held onto the Winchell Cup (most total points for the day) for the ninth consecutive year and the Crawford Plate (varsity 8 winner) for the fourth consecutive year. The Cougars finished the varsity 8 race in 6 minutes, 23.4 seconds to the Beavers’ 6:28.6. In the varsity 4 race, WSU’s A boat finished in 7:21.20, 20 seconds ahead of OSU. Published: April 6, 2018, 10:32 p.m.